STUDENT CONCERTS & DEMONSTRATIONS: We hope to have several casual concerts this year to keep polishing students’ performances and bringing musical cheer to others. Concert and demonstration venues include malls, Tippecanoe Place Restaurant, formal dinners, schools, daycare centers, churches and community sites. We invite you to share information about possible concert sites with your instrument coordinator or with the Music Director. ENRICHMENT CONCERTS: Twice a year, Suzuki Music School holds concerts for its students and their families. 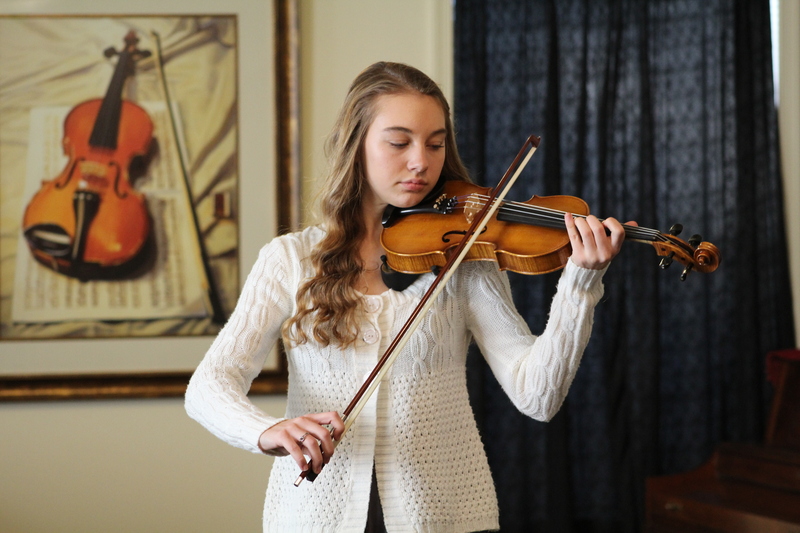 In December, performances by the faculty and advanced students comprise an Enrichment Concert. In the spring, the last classes will be a Family Ensemble Concert. All families are welcome to perform in this concert with the guidance and approval of their individual instructor. 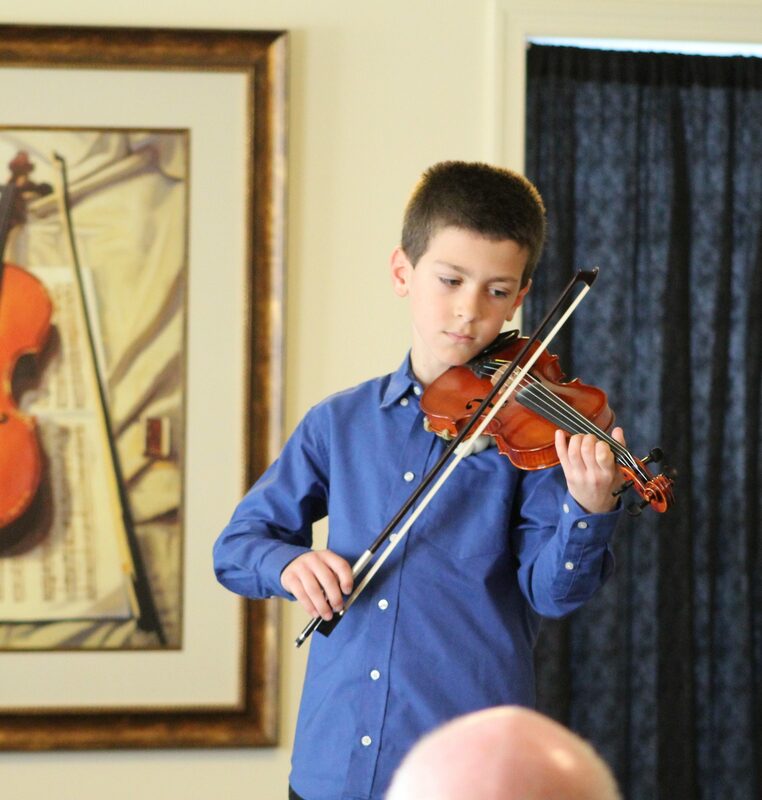 SOLO RECITALS: During March, each full program student will perform in a solo recital for family and friends. This is a special performance for everyone to attend. Concert attire is your Sunday best; it is not necessary to wear the traditional concert attire with the Suzuki Music School polo shirt. Students choose their recital piece with the help of their individual teacher and prepare for their recital by playing their piece 100 times or more. GRADUATION RECITAL: Students who have completed a Suzuki volume or book should, with the permission of their individual teacher, coordinator and director, participate in a graduation recital the following November or in the spring. During these recitals, they formally graduate the previous volume or in the case of volume I, they graduate Twinkle. You will need to fill out a Graduation Form with your teacher and pay the graduation fee in order to take part in the Graduation Recital. Forms will be available through your individual lesson teacher. Submit forms along with payment to the Business Administrator. GALA CONCERT: Every other year, the students participate in a full school gala concert. On the off years, we will have an end of year concert. Students work on a piece to perform with their repertoire class at the concert. Please feel free to invite family and friends. READING/CHAMBER CONCERT: This concert is at the end of the school year and includes all students that are in a reading/chamber group. At the end of the school year, there is a family celebration that includes a potluck supper, games and activities. This gives families an opportunity to socialize before the long summer break. There is no cost for enrolled students for this event, and all families are invited to attend.